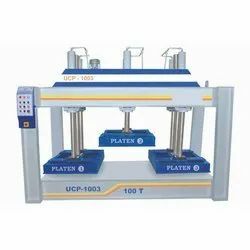 Prominent & Leading Manufacturer from Ahmedabad, we offer hydraulic cold press ucp 1003, ucp 1001 hydraulic cold press and ucp 1005 hydraulic cold press. 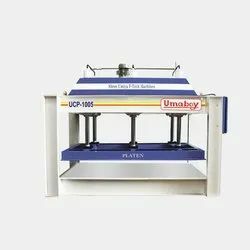 3 Platen for small Job, It can operate separately same time. PLC control for simultaneous and continuous pressure on work piece. Standard accessory for no maintenance like doety pump crompton and greaves motor etc. I beam welded structure for long life. Hydraulic cylinder with imported seals. 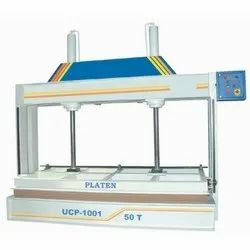 machine suitable for pressing various type of laminations on composite wood, cork board, fibre board, Honey comb board.